Fig. 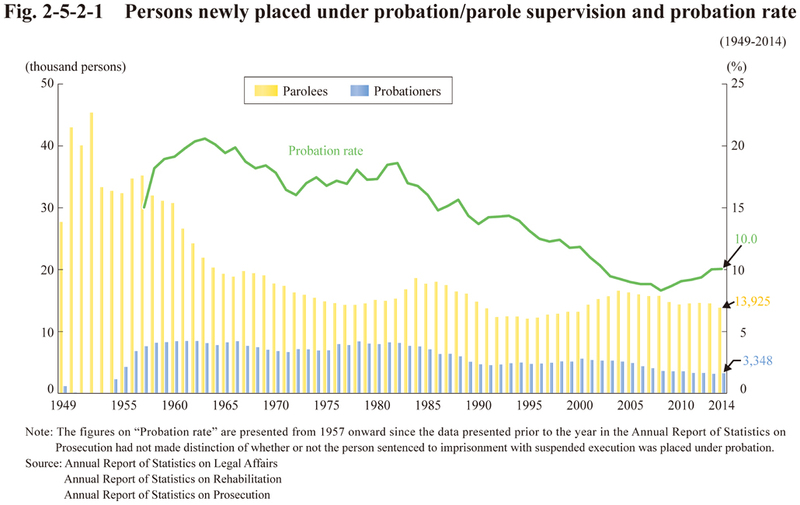 2-5-2-1 shows the number of persons newly placed under probation/parole supervision since 1949 and the probation rate among those granted suspension of execution of their sentences. Fig. 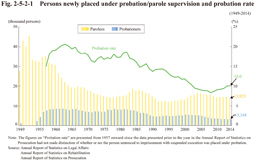 2-5-2-2 shows the percentages of persons newly placed under probation/parole supervision, by age groups in 2014. For the percentages of persons newly placed under probation/parole supervision by types of offense, see Appendix 2-8.